Highest quality peaches and cream corn is distilled four times into a neutral grain spirit and blended with pristine water from Newfoundland, Canada. The liquid is then filtered seven times, of which three are through layers of semi-precious crystals known as Herkimer diamonds. Crystal head Vodka and Universal Music Canada, have joined forces with The Rolling Stones, the Greatest Rock ‘n’ Roll Band in the World, to create an exclusive, limited edition Rolling Stones 50th Anniversary Gift Set. Crystal Head Vodka (CrystalHeadVodka.com) – the multiple award-winning Canadian vodka, is the official vodka of The Rolling Stones 50th Anniversary. 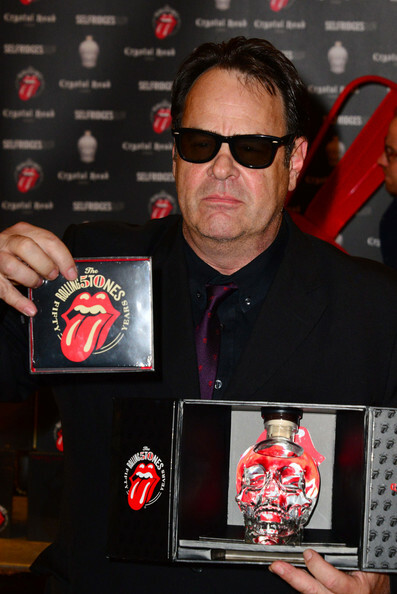 “It is a huge honor and recognition of our high-quality product to have Crystal Head designated as the officially authorized vodka for the Rolling Stones 50th Anniversary Worldwide celebration,” Aykroyd exclaimed. 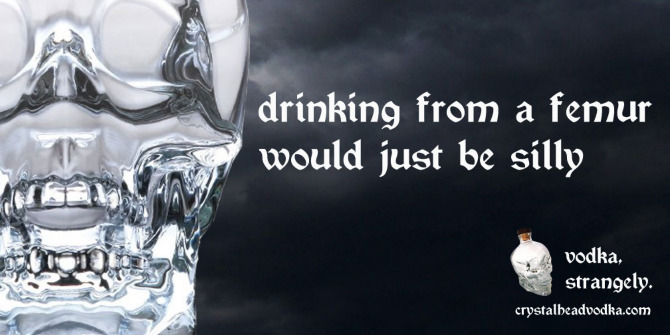 Vodka done strangely? Where else but Paris Texas, try it today neat or with a little ice and lemon twist, or for a real treat in a vodka martini!